The Chemistry Department is proud to host visiting undergraduate students as part of our NSF REU Summer Program. 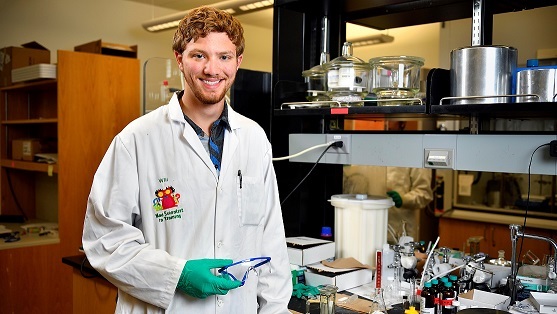 These students, who represent the brightest and best undergraduates, spend ten weeks on UNT's campus working in our Chemistry faculty research labs. They were highlighted last week by UNT's Office of Research and Innovation where they talk about their experience at UNT and the research they are working on. Read all about it on the Office of Research and Innovation's website.